We are proud of our commitment to journalism and viable business strategies that make up the fundamental structure of our projects. We know that finding the right partner for a video production is crucial to its success, so whether we are producing our own projects, consulting on one, developing the commercial strategy to sell it, or providing turnkey media production solutions, we don't compromise our passion for excellence. 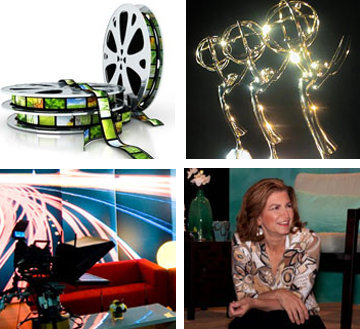 Love Smart Living Media is a bilingual creative group that brings together decades of experience working with different media outlets, production platforms, and target audiences with quality projects. Living Abroad on Purpose, this cross cultural program features 3 Americans who have chosen to live in a different country, embracing a new culture and lifestyle. Edited by Ron Kabele. La Vie En Rose is a music video shot with an HD consumer camera to feature Houston's most interesting sites and the diversity of its citizens. Edited by Gary Nilsen and Patricia Gras. Welcome to our Client Access page. All pertinent information has been made available for our clients to allow quick access to project details. Please contact us at (713) 623-6766 if you have any questions.